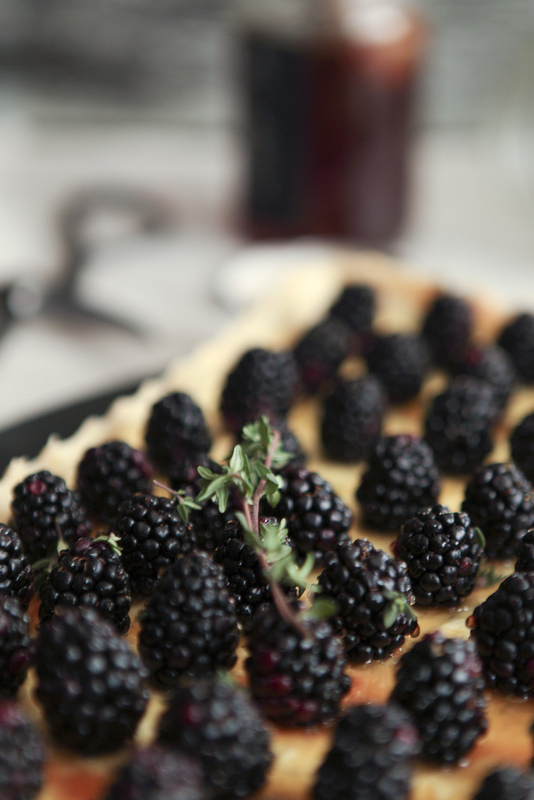 Blackberry Goat Cheese Tart — always with butter. Pulse all ingredients together in a food processor, about 10 times. 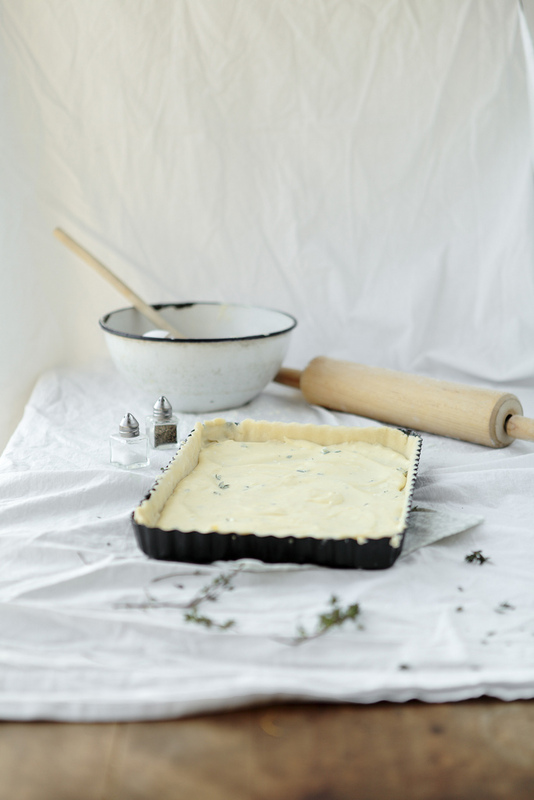 Gather up dough and shape into a thick disk. Wrap in plastic and chill for 2 hours. Lightly grease a 12x8 tart pan. On a lightly floured surface, roll out dough to slightly bigger rectangle than the pan. Shape into pan, working up the sides and place in freezer. Combine goat cheese and cream cheese in a bowl. Whisk in egg, yolk, thyme, salt and pepper until smooth. Remove crust from freezer and pour in. Bake for about 25 minutes until crust is golden and filling is puffed. Let cool completely. Sprinkle berries on top or arrange in rows. Drizzle with honey.